We are hand-bragging about our Sorbet Nail Collection with our 3 for 2 special, because our shades are definitely the Shades to talk about, Nails to Flash about & the Nails to Rave about! 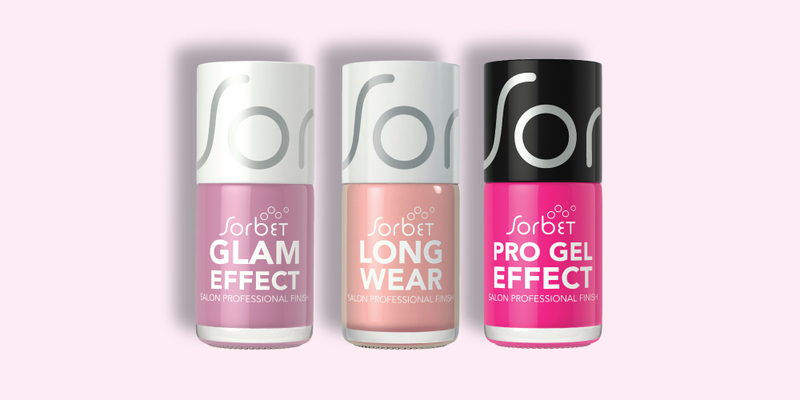 You will be able to pick up your favorites shades – whatever the occasion at all Sorbet stores countrywide from 1 October 2018 ! Its Every Kind of Nail Polish for Every Kind of Girl and we have a fabulous selection worth talking about! There are so many ways to Mix them & Match them, play with colours & play with fun! Our Beauty Editors have selected 3 Nail polishes from Our Long Wear, Glam Effect and Pro Gel Effect ranges including our limited edition ranges giving you the perfect chance to mix and match your own favourites! Click HERE for the entire nail collection and Clicks stores nationwide. ONLY WHILE STOCKS LAST!! Sorbet has the right to cancel this promotion at any time.